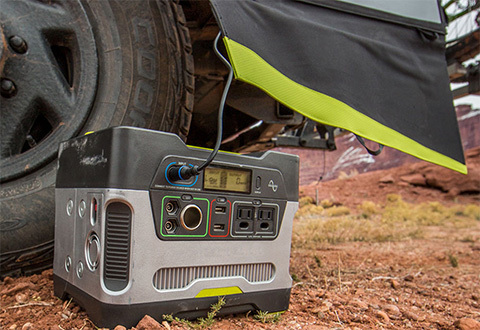 The medium-sized rechargeable Portable Power Generator gives you the freedom to camp in luxury without the noise or exhaust fumes of other backup generators. 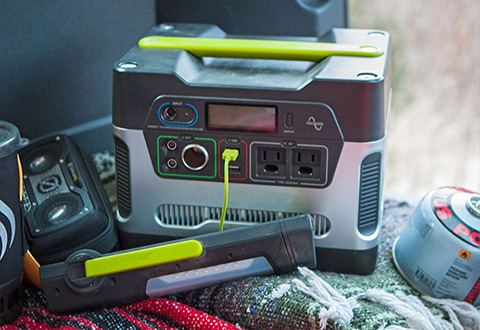 And, it keeps your devices charged and ready in case of emergency. 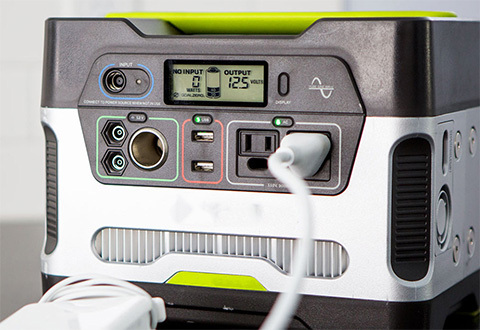 It has three outputs: USB, 12V and AC (up to 300 Watts continuous) to power smartphones, laptops, tablets and larger items like a TV or CPAP machine. Charger plugs into an AC outlet or solar panel. 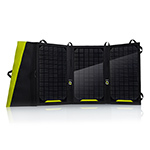 An optional solar panel is available separately atSharperImage.com. 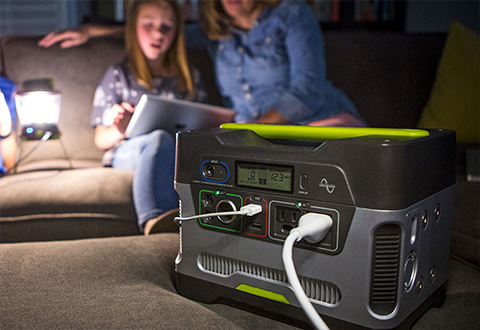 The medium-sized rechargeable Portable Power Generator has enough power to keep your smartphone, laptop, TV or CPAP machine running in the event of a power loss, without gasoline, fumes or noise! • Lightweight — only 29 lbs. 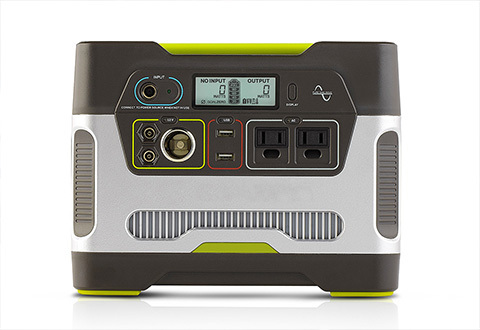 NOTE: This item cannot be shipped to Alaska or Hawaii due to the cost of air/boat shipping.